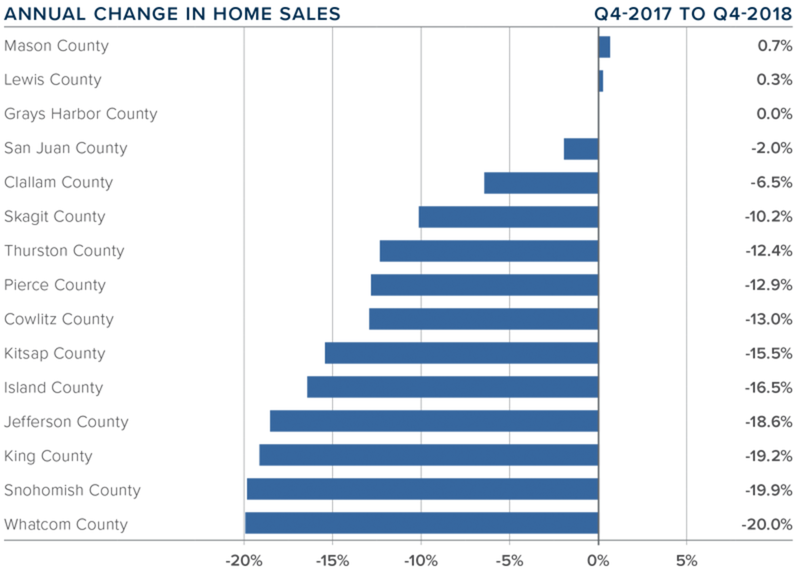 sales rise compared to the fourth quarter of 2017, with the balance of the region seeing lower levels of sales activity. 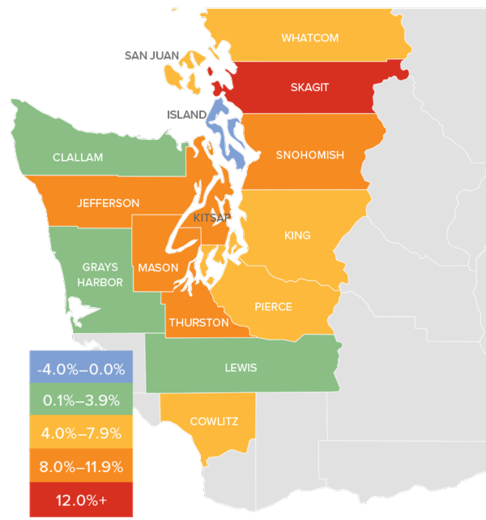 the region in the first half of 2019, but they should start to resume their upward trend in the second half of the year. 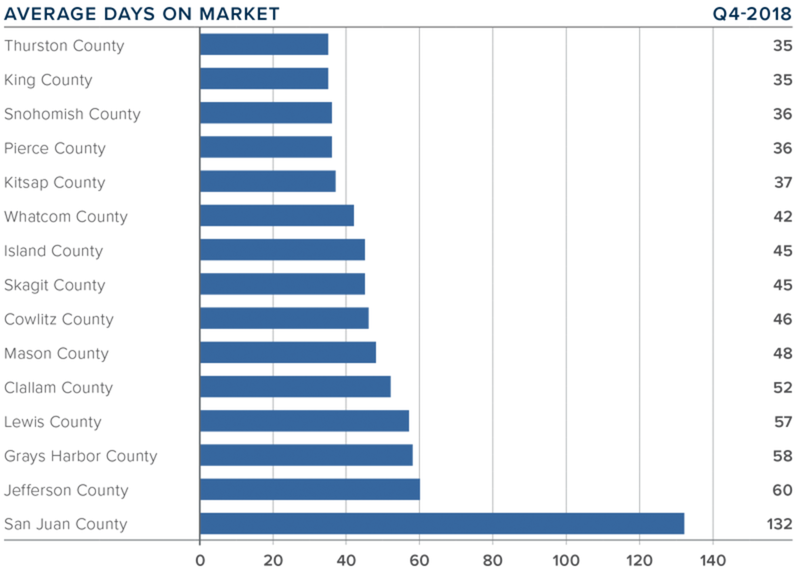 Across the entire region, it took an average of 51 days to sell a home in the fourth quarter of 2018. This is down from 54 days in the fourth quarter of 2017 but up by 12 days when compared to the third quarter of 2018. 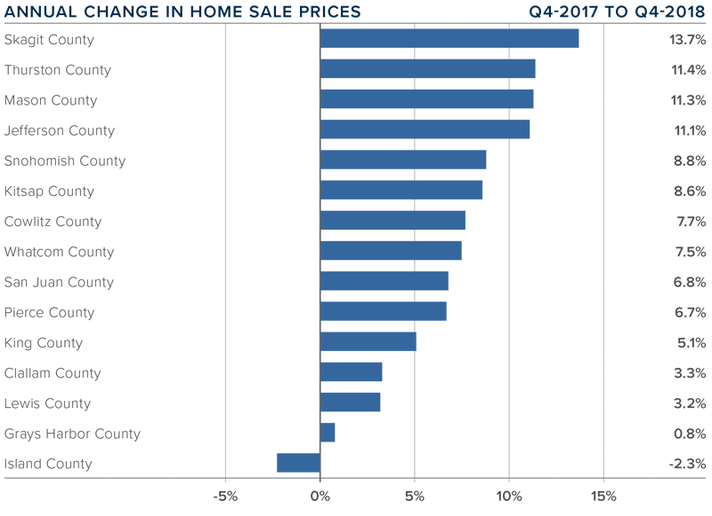 This speedometer reflects the state of the region’s real estate market using housing inventory, price gains, home sales, interest rates, and larger economic factors. 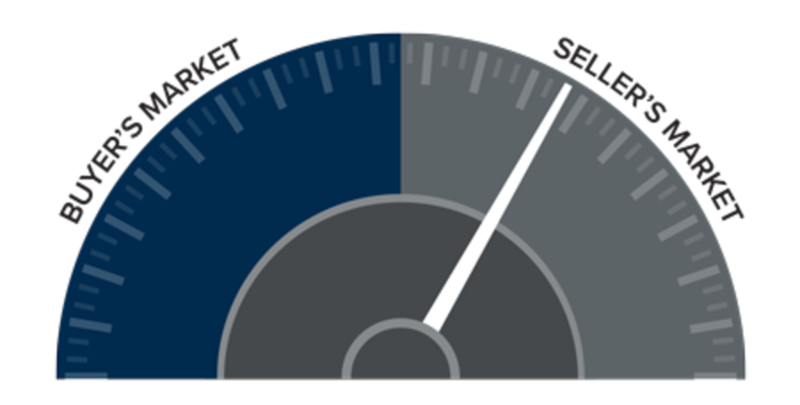 I am continuing to move the needle toward buyers as price growth moderates and listing inventory continues to rise. 2019 will be the year that we get closer to having a more balanced housing market. Buyer and seller psychology will continue to be significant factors as home sellers remain optimistic about the value of their home, while buyers feel significantly less pressure to buy. 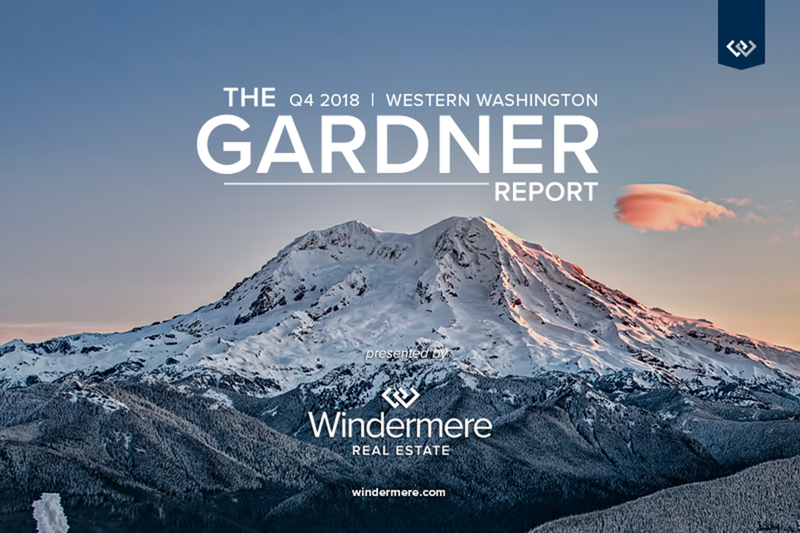 Look for the first half of 2019 to be fairly slow as buyers sit on the sidelines waiting for price stability, but then I do expect to see a more buoyant second half of the year. interpreting economic data and its impact on the real estate market on both a local and national level. Matthew has over 30 years of professional experience both in the U.S. and U.K.
Economic Advisors; chairs the Board of Trustees a the Washington Center for Real Estate Research at the University of Washington; and is an Advisory Board Member at the Runstad Center for Real Estate Studies at the University of Washington where he also lectures in real estate economics.